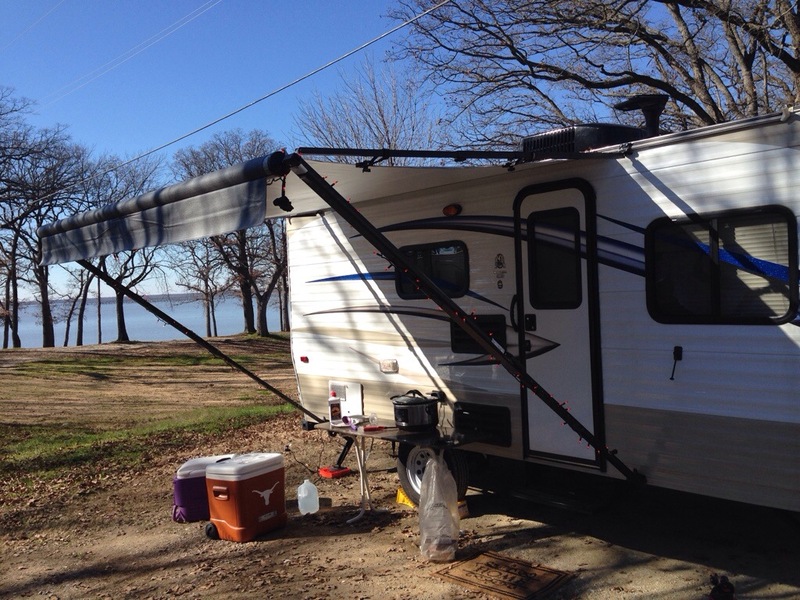 Instead of dealing with all the drunks out on the road for New Year’s Eve, I decided to head out to Lake Tawakoni and go camping. I guess I should use the word “camping” lightly, because going in a travel trailer isn’t exactly roughing it! In fact, a lot of people actually LIVE in their travel trailers. I stayed at the Sunset Resort; I think 99% of the people who were there actually live there. My two favorite parts of the trip were starting a campfire each day and cooking out, not that I cooked over the campfire or anything. One of the best things I cooked was a Chicken Taco Soup. I’m not sure why, but everything tastes better when it’s cooked outside, even if you use regular kitchen utensils like I did. 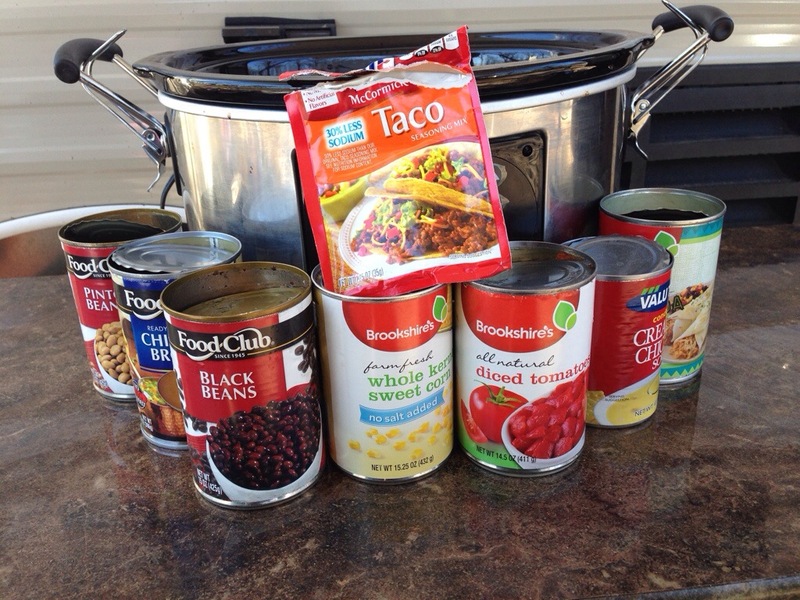 This crockpot soup was made ALMOST entirely from cans so it was really EASY!! Not only that, I bought all generic cans, so it was really cheap! Pour all of the ingredients in the crockpot, cook on high for as long as you want. I think I had it on for a couple hours. Stir it occasionally. Garnish it with chips, shredded cheese, sour cream, or anything else you can come up with! This was delicious!!! I will probably even make this for dinner at home! !